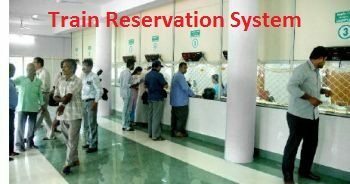 Train Reservation System or Train Ticket booking system is a secure reservation system designed for railway. Train reservation system is a complete Software Application designed to manage inventory system, pricing for both passenger as well as train operators including sleeper compartment and cabins. Earlier it was a tidy job to book train ticket. A person had to stand in long queues and wait for a long hours to make reservation in advance.